The suitability of a trailer to your travelling needs ought to be at the forefront of your priorities when inspecting prospective trailers. It is undeniable that when on the road for extended periods of time, space is at a premium and your trailer should be compatible with this. Typically, the boats transported by RVs and caravans are smaller aluminium boats; or ‘tinnies.’ The two primary ways in which these are transported is on the roof of the vehicle, or on a trailer. Irrespective of which method you choose, a trailer will be necessary at some point in your journey as it is impractical to transport a tinny from you campsite to the water by hand. As such, the trailer type that is evidently most suitable to those engaged in this lifestyle is a folding trailer. Folding trailers – as with all trailers – vary in quality between manufacturers. Listed below are some of the features that a quality trailer manufacturer will offer you in their range of folding trailers. This can be strongly indicative of a provider’s pride in their work and in delivering you options; they can demonstrate their care for you as a customer. Some of Queensland’s most reputable manufacturers offer more than one variety of folding trailer, as well as a range of accessories and customised options. One particular accessory that makes an important addition to your trailer is an outboard motor trolley. Outboards are often quite heavy and finding a supplier capable of providing a trolley of this nature is advisable so as to ensure the upmost mobility of your boat and its motor. Another variation of a standard folding trailer is a two-fold trailer. These are offered by Queensland’s most reputable of manufacturers and are ideal for those who wish to save over half a metre of extra space. Quality is of crucial importance in the selection of your folding trailer and finding the most reputable manufacturer will guarantee you a high standard of quality. A superior trailer will include such features as a sturdy locking mechanism to hold the folded components in place during transit. Such a mechanism is known as a coupling lock and proficient suppliers general offer the option to include it with the trailer upon purchase. Additionally, a quality trailer will maintain a fine balance between lightweight mobility and strength. Aluminium is often employed for its strength, weight and corrosion resistant properties. Harsh saltwater environments – particularly those found on the Australian coast – can have a very destructive effect on steel trailers; therefore quality trailers are manufactured from aluminium. Well-designed aluminium trailers are capable of bearing considerably more heavy loads than their poor quality counterparts. An easy indicator of quality is the load Limit of the trailer and an ideal trailer will often be rated to weights in excess of two hundred kilograms. As such, it is advisable that prior to purchasing your folding trailer, you enquire as to its load bearing capacity and the materials from which it is constructed. Taking some of these precautions will ensure that you select the perfect folding trailer for you. When considering the significant advantages offered by such trailers to travellers all across Australia, it is apparent that they are the ideal choice. Remember also, that buying Australian made folding trailers not only gives you the peace of mind inherent with a good quality product, but also supports the local economy and encourages quality boat trailer manufacturers to continue creating their products – the benefits of which will be passed directly to you as a consumer. 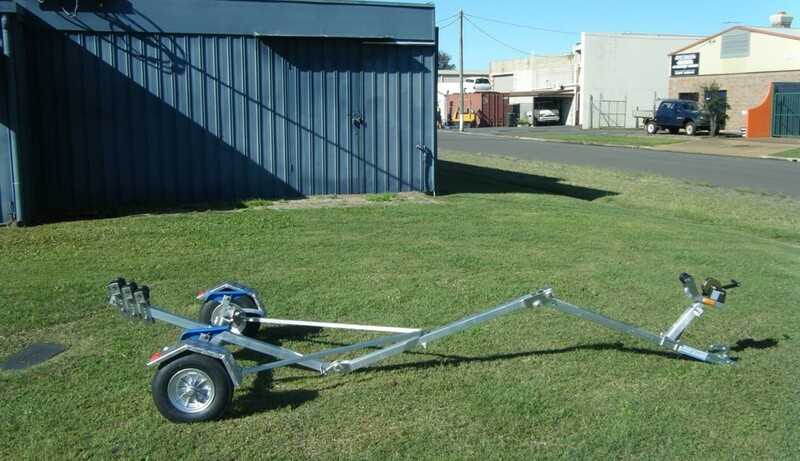 Contact Almac Trailers today, Queensland’s leading boat trailer makers.